Sid, Manny, Diego and Scrat must be pretty busy. Not only have they got their new film Ice Age 4 coming out soon, but they’re also launching a brand new live show! 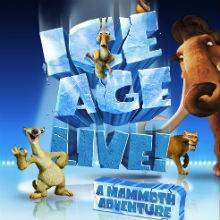 To find out more about it, we sent Alex from The Junior Club to go behind the scenes of Ice Age Live! and find out all about it.